I've always suspected that I'm not a cruise ship kind of gal. And now I know it's true. But wait, let me start at the beginning. 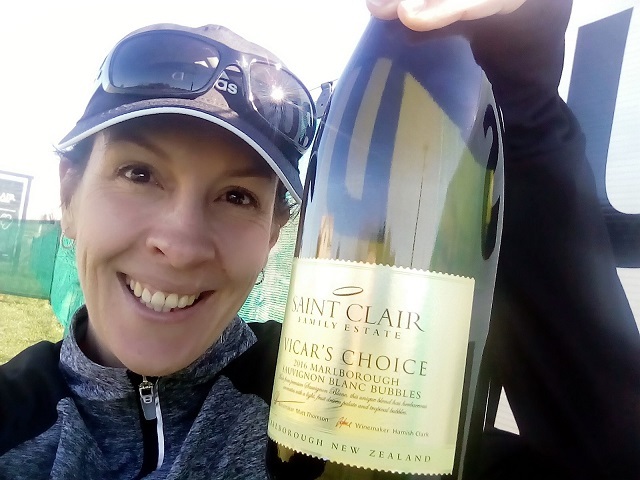 This past weekend I had the privilege of travelling to New Zealand's South Island for the Saint Clair Vineyard Half Marathon. And boy, did I travel! It took a bus, a train, two shuttles, a ferry boat and a rental car to get me there... Phew! But I loved every minute. Okay, except maybe for the ferry part. Because, you see, I suffer from motion sickness. Not too severe - I did, after all, manage to survive a 14-hour flight alone with two toddlers on zero medication and with zero problems. But, I get it just bad enough to have turned a Cessna adventure over Botswana's Okavango Delta with my dad into a complete nightmare. So yes. I was a tad nervous about the ferry trip. 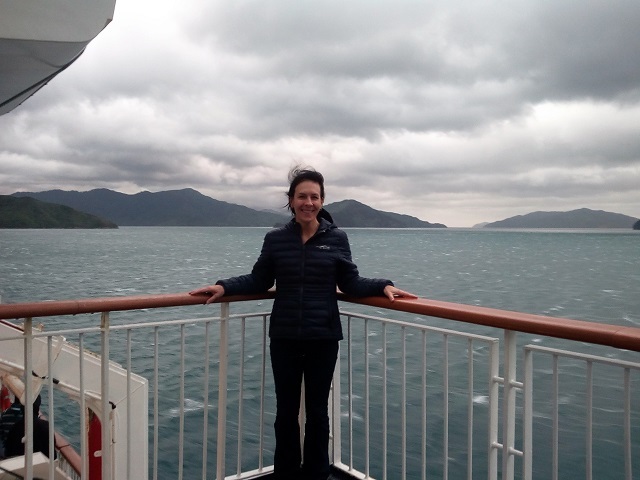 Fortunately sea conditions were calm when we set off for the South Island. And with a whole lot of focus and very little movement on my part I pretty much got off scot-free. Hallelujah! A little bleak, but doing okay. 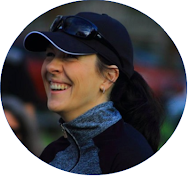 And, before I knew it, it was time to toe the starting line. Yikes, it was a cold one! But as soon as we got moving, my frozen feet thawed and I even started shedding some layers. 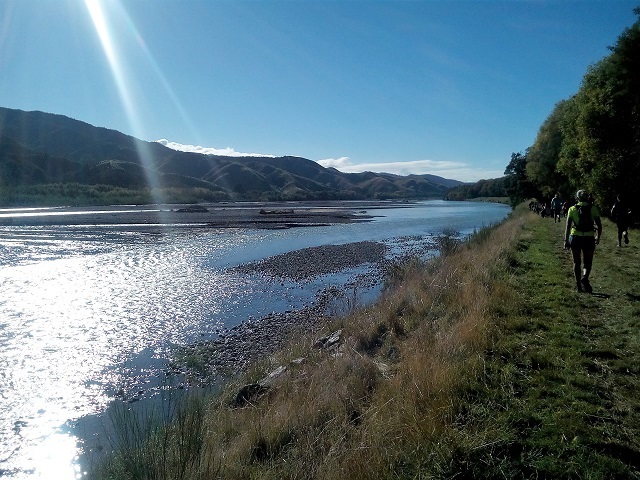 My goal for the race was twofold: 1) To enjoy the sights and sounds of the South Island in my running shoes, and 2) to come in under two hours. And I'm happy to report that I did just that! Guys, the South Island is breathtaking. Even though I only experienced a very small portion of it, my eyes just couldn't stop feasting. 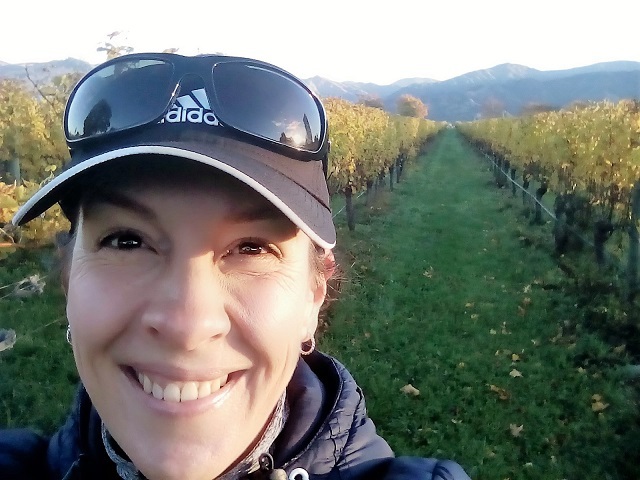 The mountains, the vineyards and the incredible autumn colours... I wanted to etch it into my memory and just kept drinking it all in. Plus, for the first time ever, I had some dark chocolate mid-run! At about 2 km to go, two lovely ladies with huge bags of artisan dark chocolate truffles appeared as if from a dream... Wahoo! I grabbed a truffle and popped it into my mouth straight away - heaven! And even though it inhibited my ability to breathe properly for at least a kilometer, it was totally worth it. I clocked a 01:58:56. Right on target! That's half marathon number 9 in the bag. Post-race, with not much time to spare, I collected my finisher's wine (this one is for you, Will! ), hobbled back to the shuttle bus, and braced myself for the ferry trip back home. I'll spare you the details, but just know that when the ship's captain announced that sea conditions were rough and advised us to take some anti-motion sickness medication, I knew that it was going to be a long three hours home. And it was. I half-sprawled myself over a lounge chair, never looked up once and prayed the entire time. And, judging by the lady next to me feverishly fanning her face with a magazine and doing some serious deep breathing, I knew that I wasn't alone. The massive ship heaved into the air and crashed back down into the waves a hundred times over. Doors swung shut, stuff fell off shelves and somewhere in the background I could hear someone being sick. Very sick. Oi. Not my our finest hour. In fact, my world still feels a bit unsteady, even as I sit here writing this. So, yes. I'll see you again soon, South Island. Only next time I'm taking the plane! Well done and written! We feel the same about South Island!